GRAND PRIZE WINNER – SANDI JANTZ! 1984 Wild West Rodeo in Cuyama Valley. The image is titled, “Emery and Lamar Johnston OCT 1984 Cuyama Valley Wild West Rodeo 1984_0054,” as it depicts Lamar Johnston as the Header throwing a loop in the team roping competition and Emery Johnston as the Heeler. 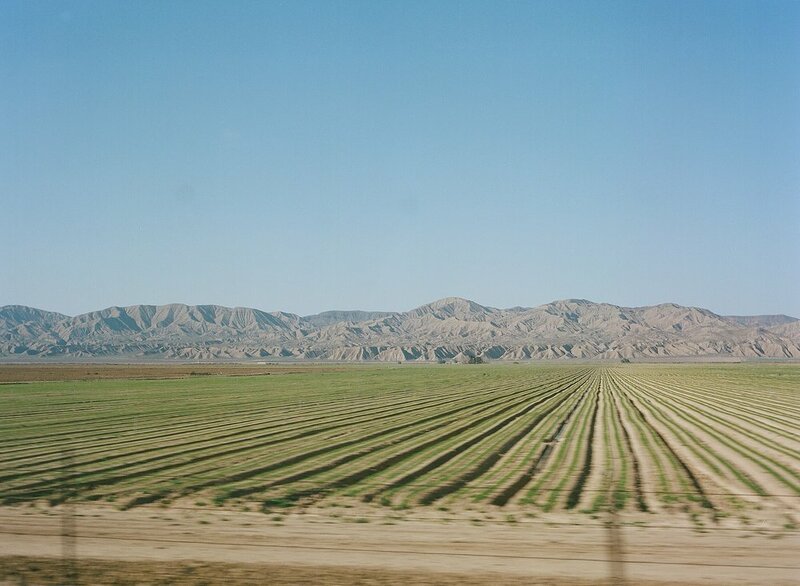 Be on the lookout to see this beautiful photograph on display following our upcoming renovations, as a tribute to Cuyama’s amazing history! RUNNER UP WINNER – ROXANNE HENKELS FAVORS! 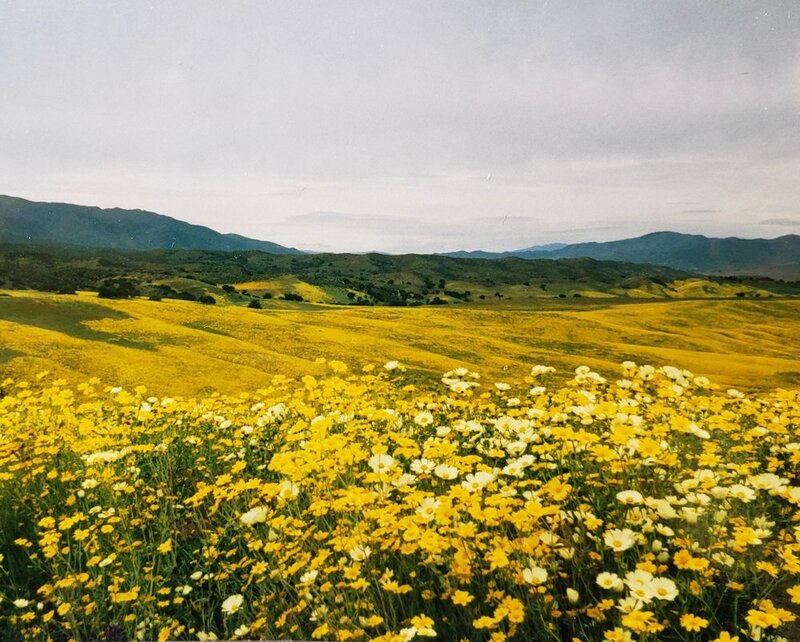 This vibrant photo of Cuyama Valley’s amazing wildflowers was taken in the spring of 1992. We are so excited to have it hanging in the Buckhorn in the near future! As part of the Buckhorn’s renovation, we want to honor and celebrate the history of this community landmark, established in 1952, as well as our greater community. 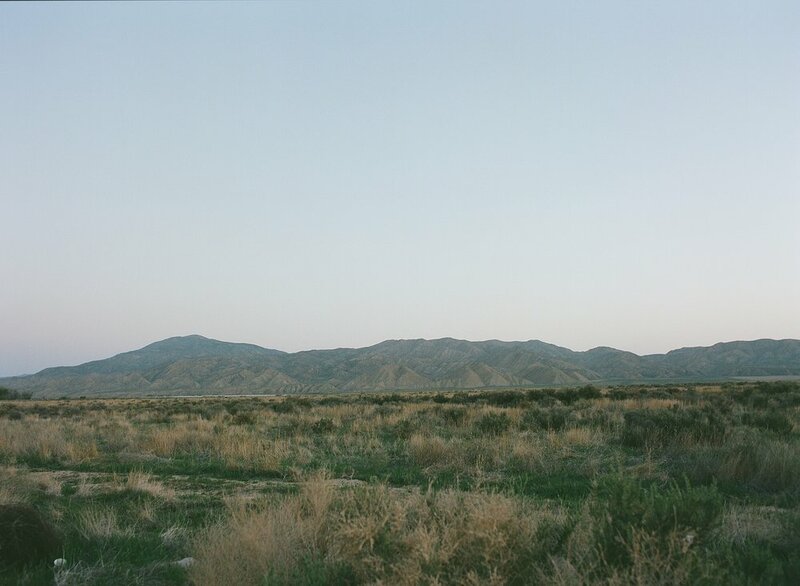 To do this we are focusing on displaying photography and art that celebrates our beautiful Cuyama Valley and the community that has supported the Buckhorn for more than half a century. But we need your help! 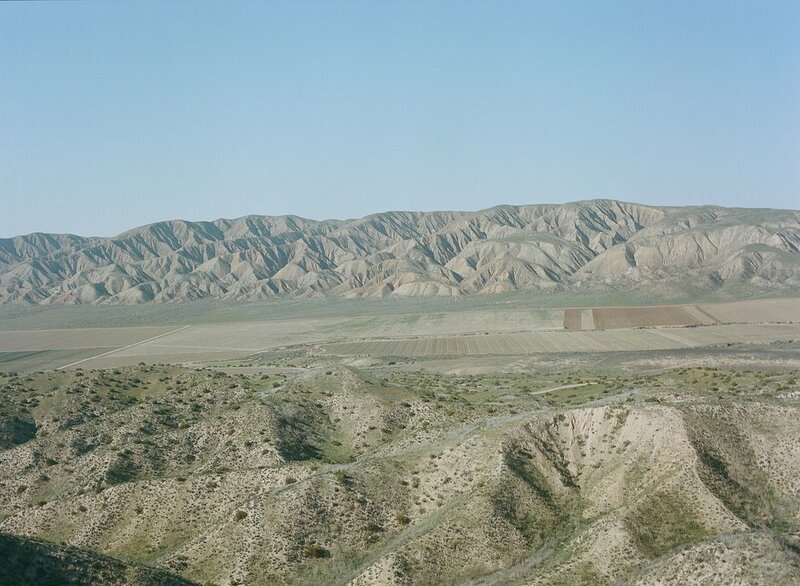 Please submit your favorite new or old photograph of/at Cuyama Buckhorn, the Cuyama Valley, Los Padres National Forest, Highway 166, New Cuyama, Highway 33, or anything else that comes to mind when you think of Cuyama and the Cuyama Buckhorn. The best of the best submissions will be displayed throughout the restaurant, bar, and hotel. We will also choose one Grand Prize winner whose photo will be printed and put up prominently in the Buckhorn and will receive a two-night stay at Cuyama Buckhorn for two people. One Honorable Mention winner will receive a dinner for 2 at The Buckhorn (valued at $75). The dinner and hotel stay may be redeemed throughout 2019. Winners will be announced via our social media platforms and email by January 4, 2019. The small print: Please submit photos in the highest quality possible so that they can be printed in high quality! If you have slides or negatives of old photographs, make sure to note that you have those when you email us--we can digitize these images for you! If you do not use email, you may mail in or bring by a physical copy of the photo you wish to submit. Photos must be submitted by midnight on December 31st! *All entries are subject to the official rules and regulations stated below. NO PURCHASE OR PAYMENT OF ANY KIND IS NECESSARY TO ENTER OR WIN THIS CONTEST. A PURCHASE OR PAYMENT OF ANY KIND WILL NOT INCREASE YOUR CHANCES OF WINNING. ONLY LEGAL RESIDENTS OF 50 UNITED STATES AND THE DISTRICT OF COLUMBIA (EXCLUDING RESIDENTS OF PUERTO RICO AND US TERRITORIES AND POSSESSIONS), WHO ARE AT LEAST 18 YEARS OF AGE OR AGE OF MAJORITY. VOID WHERE PROHIBITED BY LAW. PLEASE REVIEW THESE OFFICIAL RULES CAREFULLY. DO NOT REGISTER OR PARTICIPATE IN THIS CONTEST IF YOU DO NOT MEET THE ELIGIBILITY REQUIREMENTS SET FORTH IN THESE OFFICIAL RULES. VOID WHERE PROHIBITED. PARTICIPATION IN THIS CONTEST IS SUBJECT TO THE CONTEST DETAILS OF THESE OFFICIAL RULES. 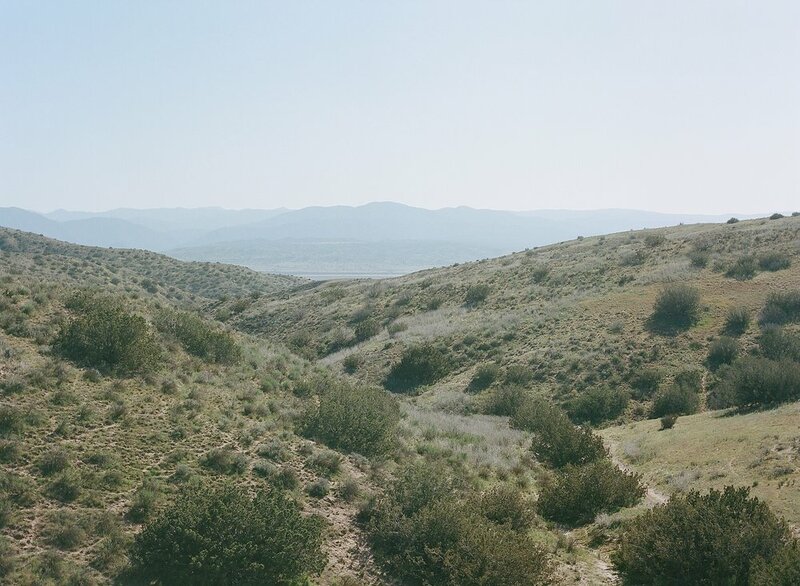 The “Cuyama Buckhorn Photo Submission Contest” (the “Contest”) is sponsored and administrated by Cuyama Buckhorn, with its principal place of business located at 4923 Primero St. New Cuyama, CA 93254, (“Sponsor” & “Administrator”). The Contest is in no way sponsored by, endorsed by, administered by, or associated with any third party social media site, including Facebook, Instagram, or Squarespace. You understand that you are providing information to Sponsor and Administrator only, and not to Facebook, Inc. (“Facebook”), Instagram, Inc. (“Instagram”), or Squarespace. Any questions or communications should be directed to Sponsor and not to Facebook, Instagram, or Squarespace. By participating in the Contest, you agree to a complete release of Facebook, Instagram, and Squarespace from any claims. The Contest is void where prohibited or restricted by law. This Contest is open to legal residents of 50 United States and the District of Columbia, (excluding residents of Puerto Rico and US territories and possessions), except where prohibited or restricted by law. Entries submitted in geographic areas in which the entry is not permissible will be disqualified. To be eligible, an entrant must be at least 18 years of age, or the age of majority in his or her primary state of residence (whichever is greater), at the time of entry. If entrant has not reached the age of majority in his/her primary state of residence at the time of entry into the Contest, then entrant must obtain parental consent in order to be eligible to enter the Contest. Parental consent occurs when the parent or legal guardian of a minor entrant who has not reached the age of legal majority in their residing state, grants permission for the minor entrant to participate and agrees on behalf of himself/herself and the minor entrant to these Official Rules. It is strictly prohibited for anyone who does not meet the age requirement at the time of entry to be allowed to participate in the Contest, and no situation shall anyone under the age of thirteen (13) be permitted to enter the Contest at any time, under any circumstances. The Contest period commences at 10:00 a.m. Pacific Time (“PT”) on Friday, November 16, 2018 and ends at 12:00 a.m. PT December 31, 2018 (“Contest Period”). All entries must be received prior to the close of the Contest Period. Administrator’s computer is the official time keeping device for this Contest. Winners will be selected by Administrator by 12:00 a.m. on January 4, 2018. No purchase is necessary to enter the Contest or claim the Prize, and a purchase will not increase your chances of winning. Within the Contest Period, entrants must email hello@cuyamabuckhorn with a single photo entry. Each applicant is limited to one photo submission. Digital photo copies are preferred, unless entrant is submitting a historic photo, a negative, or a slide, and/or if the entrant does not have a valid email address at time of entry. In these scenarios entrants have the option to bring the photo/slide/negative into the Buckhorn in person and deliver to a Cuyama Buckhorn employee to enter the Contest. All photo submissions must be received prior to expiration of the Contest Period. Contest entry is limited to one photo entry submission per individual, per Contest Period. Multiple entrants are not permitted to share the same email address. Any attempt by any entrant to enter more than one time per Contest Period by using multiple/different email addresses, identities, or any other methods, will void all of that entrant's entries and that entrant will be disqualified. Use of any automated system to participate is prohibited and will result in disqualification. Sponsor is not responsible for lost, late, invalid, unintelligible or misdirected entries, which will be disqualified. In the event of a dispute as to any registration or entry, the authorized account holder of the email address, will be deemed to be the entrant. The “authorized account holder” of an email address is the natural person assigned to an email address by an Internet access provider, online service provider or other organization responsible for assigning email addresses for the domain associated with the submitted address. Potential winners may be required to show proof of being an authorized account holder. Sponsor/Administrator reserves the right to reject any entries that do not comply with these Official Rules. By entering, you indicate your unconditional agreement to, and acceptance of these Official Rules, and Sponsor’s/Administrator’s decisions, which are final and binding. You cannot win a Prize unless you comply with all requirements in these Official Rules. Any use of robotic, repetitive, automatic, programmed or similar entry methods or agents will void all Contest entries made by, or associated with, the applicable entrant. By submitting an email entry in connection with the Contest, you hereby agree that Sponsor may contact you via email or text message, based on the contact information provided in the entry, regarding your submission. Judging for the Photo Submission contest will be up to the administrator’s discretion. Submissions will be judged based on image quality, submitted background/story associated with the image, date associated with the image, overall relevancy to the contest and administrator’s business, in addition to other discretionary elements. During the first week of January 2019, 1 potential grand prize winner (“Grand Prize Winner”), and 1 potential runner up winner (“Secondary Winner”), will be selected by Administrator from all eligible entries received during the Contest Period listed above in Section 3. Potential Prize Winner and Secondary Winner will be notified by email or phone based on the contact information provided in his/her email entry by 12:00 a.m. PT January 4, 2018. An entrant is not a Prize Winner/Secondary Winner unless and until that entrant’s eligibility has been verified by Sponsor/Administrator, and entrant has been notified that verification is complete. In the event that a potential Prize Winner/Secondary Winner is determined to be ineligible, his or her prize will be forfeited and Sponsor/Administrator reserves the right to select an alternate Prize Winner by random drawing from among all remaining eligible entries. In the event that a person under the age of 18 years of age is determined as the Grand Prize Winner, the minor is only eligible to redeem his/her prize if they are accompanied by a legal guardian of majority age during their stay at the hotel. The eligible Prize Winner/Secondary Winner may be required to present ID and sign and return an affidavit of eligibility and liability release, if provided or attempted to be provided to Prize Winner/Secondary Winner, in order to claim his/her Prize (as defined below). If a potential Prize Winner/Secondary Winner cannot be contacted, fails to sign and return the Affidavit or provide any other requested information by January 18, 2018, the potential Prize Winner/Secondary Winner forfeits the Prize and sponsor reserves the right to reselect a Grand Prize/Secondary Prize Winner. Sponsor reserves the right to terminate or modify this Contest at any time for any reason. Sponsor also reserves the right to cancel, suspend or modify this Contest in the event an insufficient number of entries are received, an insufficient number of entries meet the minimum judging criteria, or as a result of any fraud, technical failures, human error or any other factors that impair the integrity or proper functioning of the Contest, as determined by Sponsor in its sole discretion. Sponsor reserves the right in its sole discretion to disqualify any individual it finds to be tampering with the entry process or the operation of the Contest, or to be acting in violation of these Official Rules. Any attempt by any person to deliberately undermine the legitimate operation of the Contest may be a violation of criminal and civil law, and, should such an attempt be made, Sponsor reserves the right to seek damages from any such person to the fullest extent permitted by law. Sponsor’s failure to enforce any term of these Official Rules shall not constitute a waiver of that provision. 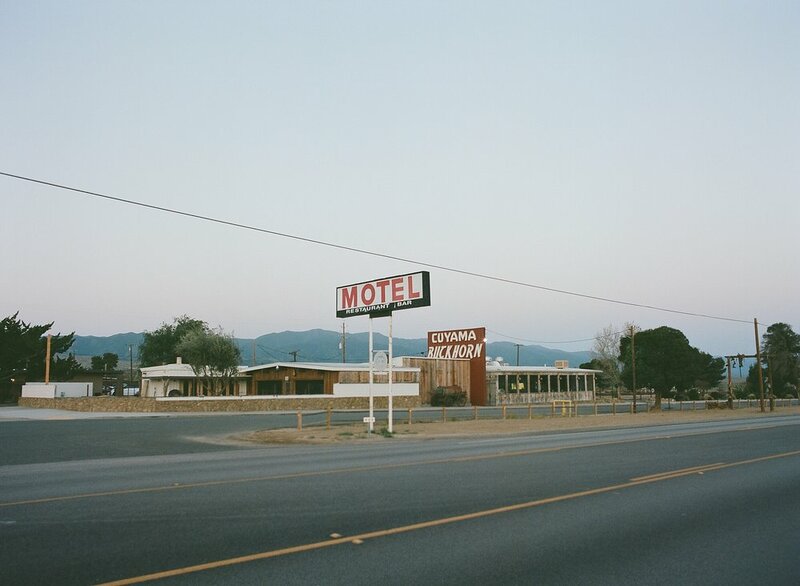 The verified Prize Winner shall receive the following grand prize (the “Prize”): One (1), two-night stay in a renovated hotel room at Cuyama Buckhorn for two people, to be redeemed before January 1, 2020. Prize value of $333.76. The verified Secondary Winner shall receive the following runner up prize (the “Secondary Prize”): One (1), dinner at the Buckhorn, to be redeemed before January 1, 2020. Prize value of $75.00. Prizes are non-transferable and may not be exchanged for any other consideration. No substitution will be made except as provided herein at the Sponsor’s sole discretion. Should the Prize/s become unavailable, Prize Winner/Secondary Winner shall be given the verifiable value of the Prize in cash or by a valid check; or a voucher, certificate or other evidence of obligation stating that the Prize will be shipped to the Prize Winner/Secondary Winner within ten days at no cost to the Prize Winner/Secondary Winner. Sponsor will not be responsible for any loss, liability or damage arising out of the acceptance or use of a Prize. By entering this Contest, and except to the extent prohibited by law, you acknowledge and agree that, if you are selected as the Prize Winner/Secondary Winner, you grant (and agree to confirm such grant in writing promptly upon request) the Sponsor the right to publicize, broadcast, and otherwise use, in any media whether now known or hereafter discovered, your name, social media account, photograph, likeness, voice, image, statements, home city and state, biographical information, the fact that you participated in and won this Contest, and all related information at any time or times for advertising, trade, publicity, and promotional purposes worldwide and on the internet, without your review, notification, or approval, or additional compensation to you of any kind. Sponsor is not obligated to attribute submissions to any entrant. BY ENTERING THE CONTEST, YOU AGREE TO DISCHARGE AND RELEASE SPONSOR/ ADMINISTRATOR, FACEBOOK, INSTAGRAM, SQUARESPACE, AND THEIR RESPECTIVE OFFICERS, DIRECTORS, EMPLOYEES, REPRESENTATIVES, AGENTS, SUBSIDIARIES AND AFFILIATES (THE “RELEASED PARTIES”), FROM AND AGAINST ANY CLAIMS, DEMANDS, COSTS, LIABILITIES, DAMAGES, LOSSES, CAUSES OF ACTION, OR INJURY RELATING IN WHOLE OR IN PART, DIRECTLY OR INDIRECTLY, FROM YOUR PARTICIPATION IN THE CONTEST OR RECEIPT OR USE OF ANY PRIZE, INCLUDING, BUT NOT LIMITED TO: (A) UNAUTHORIZED HUMAN INTERVENTION IN ANY PART OF THE ENTRY PROCESS OR THE CONTEST; (B) TECHNICAL OR HUMAN ERRORS WHICH MAY OCCUR IN THE ADMINISTRATION OF THE CONTEST OR THE PROCESSING OF ENTRIES; (C) LATE OR UNDELIVERED MAIL OR EMAIL; (D) TECHNICAL ERRORS OF ANY KIND, INCLUDING BUT NOT LIMITED TO MALFUNCTIONS, INTERRUPTIONS, OR DISCONNECTIONS IN CELLULAR NETWORKS, PHONE LINES, OR NETWORK HARDWARE OR SOFTWARE; (E) INCORRECT OR INACCURATE INFORMATION, WHETHER CAUSED BY ENTRANTS, PRINTING ERRORS, OR BY ANY EQUIPMENT OR PROGRAMMING ASSOCIATED WITH OR UTILIZED IN THE CONTEST; OR (F) INJURY OR DAMAGE TO PERSONS OR PROPERTY RELATED TO PARTICIPATION IN THE CONTEST OR RECEIPT OR MISUSE OF ANY PRIZE. YOU WAIVE THE RIGHT TO CLAIM ANY ATTORNEYS FEES AND ANY DAMAGES WHATSOEVER AGAINST THE RELEASE PARTIES, INCLUDING, BUT NOT LIMITED TO, PUNITIVE, CONSEQUENTIAL, DIRECT, OR INDIRECT DAMAGES. IF FOR ANY REASON YOUR ENTRY IS CONFIRMED TO HAVE BEEN ERRONEOUSLY DELETED, LOST, OR OTHERWISE DESTROYED OR CORRUPTED, YOUR SOLE REMEDY IS ANOTHER ENTRY IN THE CONTEST, IF IT IS POSSIBLE. NO MORE THAN THE STATED NUMBER OF PRIZES WILL BE AWARDED. IN THE EVENT THAT PRODUCTION, TECHNICAL, SEEDING, PROGRAMMING OR ANY OTHER REASONS CAUSE MORE THAN THE STATED NUMBER OF PRIZES AS SET FORTH IN THESE OFFICIAL RULES TO BE AVAILABLE AND/OR CLAIMED, SPONSOR RESERVES THE RIGHT TO AWARD ONLY THE STATED NUMBER OF PRIZES BY A RANDOM DRAWING AMONG ALL LEGITIMATE, UN-AWARDED, ELIGIBLE PRIZE CLAIMS. BY ENTERING THE CONTEST, YOU AGREE TO INDEMNIFY AND HOLD HARMLESS SPONSOR/ ADMINISTRATOR, FACEBOOK, INSTAGRAM, SQUARESPACE, AND THEIR RESPECTIVE OFFICERS, DIRECTORS, EMPLOYEES, REPRESENTATIVES, AGENTS, SUBSIDIARIES AND AFFILIATES (THE “INDEMNIFIED PARTIES”), FROM AND AGAINST ANY CLAIMS, DEMANDS, COSTS, LIABILITIES, DAMAGES, LOSSES, CAUSES OF ACTION, OR INJURY RESULTING IN WHOLE OR IN PART, DIRECTLY OR INDIRECTLY, FROM (A) YOUR PARTICIPATION IN THE CONTEST OR RECEIPT OR USE OF ANY PRIZE, AND (B) YOUR BREACH OF THESE OFFICIAL RULES OR YOUR REPRESENTATIONS AND WARRANTIES IN THESE OFFICIAL RULES. SPONSOR DOES NOT MAKE ANY WARRANTIES, EXPRESS OR IMPLIED, AS TO THE CONDITION OF THE PRIZE. ALL MATERIALS AND INFORMATION PROVIDED BY SPONSOR/ADMINISTRATOR AND EVERYTHING ON SPONSOR’S WEBSITE ARE PROVIDED “AS IS”, WITHOUT WARRANTY OF ANY KIND, EITHER EXPRESSED OR IMPLIED. FURTHER, SPONSOR DOES NOT MAKE ANY REPRESENTATIONS THAT THE MATERIALS RELATING TO THE CONTEST ARE APPROPRIATE OR AVAILABLE FOR USE AT ALL LOCATIONS AT ALL TIMES. IT IS YOUR SOLE RESPONSIBILITY TO ENSURE THAT ACCESSING THE CONTEST WEBPAGE AND ENTERING THE CONTEST IS LEGAL AND NOT PROHIBITED BY THESE OFFICIAL RULES OR THE LAWS OF THE JURISDICTION IN WHICH YOU ARE A CITIZEN. Sponsor is not liable for any malfunctions or failures of any computer internet system, servers or providers, computer equipment, software, failure of any social media site or social media account, technical problems or traffic congestion on the internet or at any website, or any combination thereof, including any injury or damage to entrant’s or any other person's computer related to or resulting from participation or uploading any Entry Materials relating to this contest, or other technical difficulties or failures or other errors of any kind.